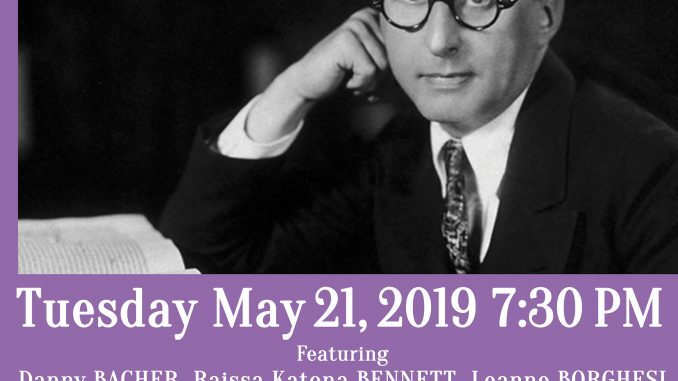 The Mabel Mercer Foundation is celebrating the music of Jerome Kern I’m thrilled to be performing in this evening filled such amazing talent: Danny Bacher, Raissa Katona Bennett, Leanne Borgeshi, Alexis Cole, Tim Connell, Natalie Douglas, Eugene Ebner, Christina Jimenez, Renee Katz, David LaMarr, Minda Larson, Alex Leonard, Stearns Matthews, Jeff Macauley, Anais Reno, Roger Schmelzer, Lauren Stanford, KT Sullivan, Joanne Tatham, and Those Girls. Patron seat tickets at $150.00 are now available directly from The Mabel Mercer Foundation; that price includes a post concert reception with the performers at a private location nearby. Please call (212) 980-3026. General tickets @ $75.00 (Orchestra) or $30.00 (Balcony) may now be purchased at the Carnegie Hall box office, Seventh Avenue at 57th Street, between 11 a.m. and 6 p.m. Monday-Saturday; between 12 p.m. and 6 p.m. Sunday; or by calling CarnegieCharge at (212) 247-7800 between 8 a.m. and 8 p.m. daily.